Is My Child Ready for Mouthwash? Combining mouthwash use with regular brushing and flossing is a great way to prevent gum disease and gingivitis, but only if your child can use it safely. If you are thinking of adding mouthwash to your child’s daily oral hygiene routine, read on to discover when a child can safely use mouthwash some tips to encourage safe mouthwash use. Parents shouldn’t even consider allowing their child to use any type of mouthwash until their child turns six or seven. The reason why children under the age of six should avoid using any type of mouthwash is because they cannot do so safely. They do not have the muscle strength or ability to hold the mouthwash in their mouth, swish it around, and then spit it out. If you were to give a child mouthwash before they turned six or seven, they would more than likely swallow it. While nothing bad will happen to your child if they swallow a tiny amount, constantly swallowing large amounts of mouthwash can cause a number of health problems and even result in increased levels of fluoride. The other reason why dentists recommend parents wait until a child’s seventh birthday to use mouthwash is because of the fluoride content. Most children get enough fluoride from their diet, drinking water, and dentists. The fluoride found in most mouthwashes might be excessive for your little one. To avoid dental problems which are caused by overexposure to fluoride, it is best to not incorporate mouthwash into their daily oral hygiene routine till after seven. Even though you shouldn’t use mouthwash until your child turns seven, it doesn’t mean you can’t proactively prevent your child from developing gingivitis and gum disease. There are several things you can do to ensure your child doesn’t develop gum disease and gingivitis. Once your child is ready to start using mouthwash, it is important that you teach them how to safely use it. Practice rinsing with a cup of water for several days or weeks before actually using mouthwash. This will help you make sure you know that your child can properly swish and spit the mouthwash out without swallowing. Have additional questions about how your child can safely use mouthwash? Feel free to call the Pediatric Dentistry of Central Florida and ask any questions you may have. You can also schedule an appointment for a routine examination for your child and ask our pediatric dentist any questions at that time. You’ve probably seen all the advertisements for mouthwash claiming that they’ll keep breath fresh and give you the radiant smile you want. But what’s really behind the advertisements? Does mouthwash really offer oral health benefits or does it come with drawbacks that outweigh the good? Is mouthwash really good for you? The truth is that it has both advantages and disadvantages you have to consider. Here’s a look at the pros and cons of using mouthwash and some helpful guidance on when it’s a good idea to use it. Pro #1 – Can Help Prevent Cavities – Using a mouthwash that includes fluoride can help to prevent cavities. Many studies show that fluoride can help reduce cavities and demineralization of your teeth. If you do use mouthwash, make sure you’re going with one that contains fluoride for the best results. Pro #2 – Great During Pregnancy – Unfortunately, periodontal disease can increase your risk of giving birth to a low-weight, preterm baby. The bacteria from gum infections has the ability to get into your bloodstream, increasing the inflammatory markers that can stimulate contractions. Some studies have shown that when pregnant women use mouthwash while pregnant, they’re less likely to end up going into early labor. Pro #3 – Fights Gum Disease – If you have gum disease, your tooth sockets and gums may become infected or inflamed due to plaque from food and bacteria lingering on your teeth. When you use a good antibacterial mouthwash, it can help fight gum disease, preventing these problems. Pro #4 – Reduce Plaque – Bacteria in your mouth can cause a sticky bio-film, known as plaque, to build up on your teeth and gums. When it hardens, it turns into tartar. Since tartar has the ability to go under the gums and cause gum disease, it’s important to remove it. Many mouthwashes help to reduce the amount of oral plaque in your mouth, preventing further oral problems. Pro #5 – May Sooth Mouth Sores – If you’re dealing with sores in your mouth, such as canker sores, mouthwash may help. It can help to detox the area around the sore, eliminating bacteria that may cause more irritation. Con #1 – Can Mask Your Bad Breath – Although mouthwash can offer you better, fresher breath, in many cases that’s short lived, especially if you’re not following good oral hygiene habits. Sometimes the mouthwash may just be masking some serious dental issues that must be taken care of by your dentist. Con #2 – Too Much Alcohol May Irritate Canker Sores – Eliminating bacteria in your mouth can actually help canker sores, but if the mouthwash contains too much alcohol, it can actually irritate your canker sores instead of helping them. Con #3 – Dangerous if Ingested – Look on the bottle of most mouthwashes and you’ll see that it’s dangerous if ingested. 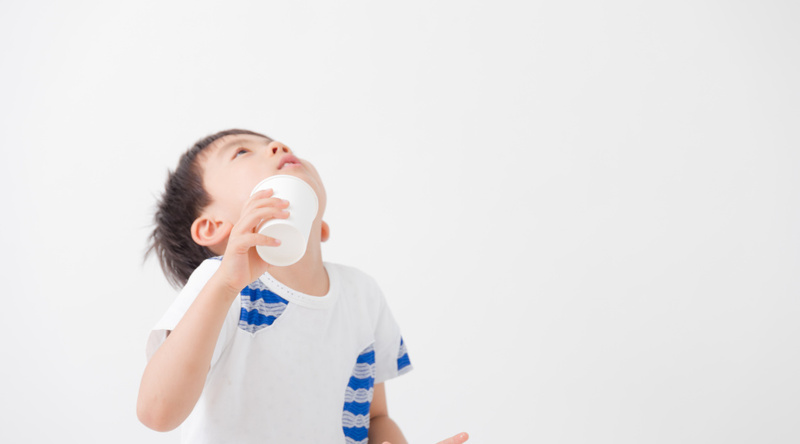 It can be dangerous for younger children who may accidentally swallow their mouthwash. Swallowing too much mouthwash can pose a serious health risk and if that occurs, you’ll need to call poison control right away. Mouthwashes have their benefits, but they do have a few drawbacks, so it’s important to choose carefully when buying mouthwash. You may want to discuss mouthwash with your dentist and get a good recommendation. The same mouthwash may not be the right choice for everyone. 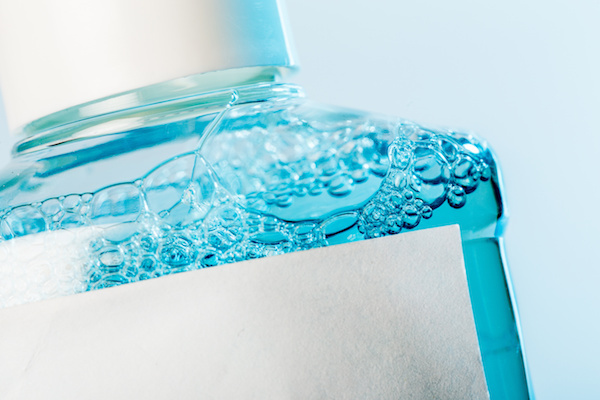 For individuals prone to cavities, a mouthwash with fluoride may be a great choice, while an antibacterial option may be better for patients fighting gum disease. It’s also important to avoid treating mouthwash as a substitute for brushing your teeth or flossing. While a good mouthwash can help prevent cavities and gum disease, it has to be used together with good oral hygiene habits. For more information on using mouthwash and good oral hygiene habits, give us a call to schedule an appointment today.